The world we all live in today is constantly over flooded with options and opinions and overloaded with ideas and innovations. This, unfortunately, leaves our civilized population with amazingly Fickle Minded. To choose between so many options and an ever-growing variety opportunities it has become difficult to make a judgement call and actually know what we want in our lives. But let us not be so fickle about the music we love, for this remains one of the only sources of inspiration and clarity in these trying times. We at Lunatic Alien Records are hoping that this album will bring forward your various ideas and perhaps even help you identify the path you are on and the path you need to be on. So we wish you the best in this adventure called life and hope that your fickle minds receive the clarity it requires while listening to some of the most cutting edge music from our everlasting scene. Mastering by Simon Morris (Cymatic Studios) with artwork by Shunpo. MP3 Download | FLAC Download | WAV Download · Download count: 15,888. I think it’s really good, pretty high energy driving hi-tech, 03, 06, 08 are my favorite tracks. Hey guys. Here is an updated version of Wackersdorff – The tribal awakening. 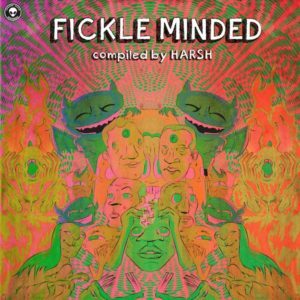 It’s not easy to find quality psycore / hi-tech releases, but this compilation features a nice and creative selection of tracks. A must-have! 1. Hell’s Bells, 8. Synthesizers, and 10. Day Of Judgement are my favorite tracks on this. Sooo good!